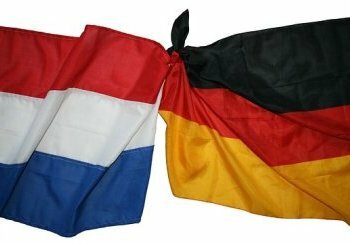 Starting today, all national flags in the Netherlands will be flown at half-staff in mourning over the "death" of Dutch football. The Netherlands national team has been struggling to find the type of form which took them to third place in the World Cup three years ago and with just one more game remaining in World Cup 2018 qualifying; are only playing for pride now. Even though they had a win over the already eliminated Belarusians yesterday, a somewhat meaningless last game with the Swedes who already lead them by three points and who have a superior goal difference, inevitably indicates that the Dutch would be missing out on a second consecutive major tournament following their failure to make it to the Euro tournament last year and their first World Cup since 2002. "Greetings my dear subjects, it behooves my to inform you that it is with a heavy heart that I King Willem-Alexander, have no choice but to bring to you this sad news. As you know our country is a very proud one with a great history of playing and achieving great things in the sporting arena. Our very own Dafne Schippers in considered the best 200M female sprinter in the world and is the reigning two-time World Champion in the event. Some even consider her the unofficial world record holder in the event. Our national women's hockey team is also a great source of pride and joy for us and even though they failed in their bid to capture a third consecutive Olympic title in Rio last year when they lost to England in the final, we were still proud of their efforts." "Even in the arena of Mixed Martial Arts, Germaine de Randamie made us proud in February this year when she became the first woman to capture the inaugural Women's Featherweight Championship. But in spite of all of these achievements in the sporting arena, it is football which generates the most interest in this country because of our history in the sport. It was we the Dutch who introduced the world to Total Football in the 1970's when our national team was considered the best in the world and when our country's most successful club team Ajax Amsterdam had their golden era by winning three consecutive European Cups from 1971 to 1973." "One would think that with us having such a great football team in that era which included our greatest player Johan Cruyff, God rest his soul, that we would have won at least one World Cup in the seventies. Sadly, it was not to be as both Argentina and the Germans dashed our hopes in consecutive finals in 1974 and 1978 respectively. But although we were hurt by those losses, we were still proud of our team at that time and today it is widely regarded as one of the greatest teams to play the game." "Now you may be wondering to yourselves why am I telling you all this. Well as you know, earlier this year in the summer, our women's national team hosted and won their first Euro tournament and we were so proud of them. They have now matched the feat of the men's team which captured its one and only title to date in 1988 at the Euro tournament which was played in Germany. Since that Euro win however, our men's teams have made it to the latter stages of other major tournaments but can't seem to find the right formula for winning. We thought that we had it when they made the final of the World Cup in South Africa 2010, only to go under to Spain by a goal to nil with just four more minutes remaining in extra time. And despite a poor showing in the 2012 Euros and missing the 2016 tournament, our best performance since 2010 has been finishing third at the World Cup in 2014 despite all the odd stacked against our team." "But it must be noted that the team has been very sub-par in recent times. Right now they have virtually no chance of getting at least a play-off spot for the World Cup. We currently lie in third place in Group A in UEFA World Cup qualifying with a far inferior goal difference to the Swedes. Our 3-1 win away to Belarus earlier today was merely academic because, barring a major miracle directly from heaven in which we can somehow manage to score seven unanswered goals against the Scandinavians at the Amsterdam Arena on Tuesday, we will miss our second successive major tournament after the Euros last year and our first World Cup since the ill-fated 2002 campaign. This has to be one of the saddest days in the history of Dutch sports. It shows that our standard of football has not improved since 2014. The frequent changes of coaches since after the 2014 World Cup have nothing to do with it. It just seems to me that the current crop of Dutch players are not committed enough or they just don't have the talent of previous Dutch squads. I don't know what is wrong. Do we need to go back to the basics? Do we have to learn to play Total Football once again which we introduced to the world? Do we need divine intervention? This current state of the national team to me represents the symbolic death of Dutch football as we know it. So it is with a heavy heart that I order all national flags displayed at government institutions and stadiums around the country to be flown at half-staff for one week in mourning for the demise of Dutch football." "Thank you my dear subjects and please remember our national football team in your prayers." As he wiped the tears from his eyes. I just don't like this kind of thing, and it really bugs me that everyone else thinks its OK. I loathe this kind of nasty, so just accept that I'm right, wankers. Edited: sorry, wrong post! I have read sum scarily terrible piece's of work to make me sweat blood but this takes the biscuit. SUPER! A MASTERPIECE. NICE WORK, FUNNY TYPE PERSON. THIS IS THE MOST SOLIDEST PIECE OF WORK I'VE EVER READ ONLINE. Meh. This seems phony. But then I'm not a magc 8 ball. i guess. there is nothing more offputting than people spouting about stories they clearly know nothing about. There are all sorts of reasons to despise you, and this is one. This isn't just garbage it's offensive garbage. This dump blows, and you know it. Steal your ideas much? I just don't get it. I don't know. if i give you some money, will you go away? THIS IS THE MOST EXCELLENTEST NONSENSE I'VE EVER WITNESSED.